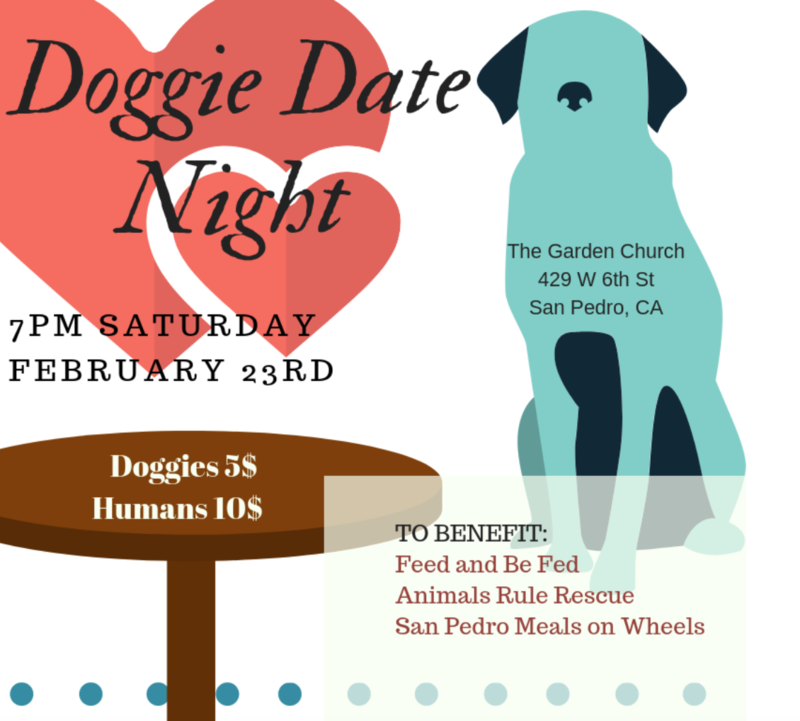 Join us for Doggie Date Night at Feed & Be Fed Farm on Saturday February 23rd 7pm. You'll be able to purchase a meal for not only yourself but also your dog(s). Hosted by Rudy Caseres, candidate for San Pedro Honorary Mayor. All money from sales will go towards the campaign which benefits Feed & Be Fed, Animals Rule Rescue, and San Pedro Meals on Wheels. More details on meal selections to come. Vegetarian options will be provided. Non-Alcoholic drinks will also be served. All dogs must be on-leash. Owners must pick up after their dogs. Dogs and owners must respect the garden and its crops and flowers. Street parking is free after 6pm.